CHICAGO -- Risking everything is one of the many mantras of Las Vegas. People often visit the vibrant city to put their earnings on the line and win big. Some triumph, while others aren’t so lucky. But risk and luck are merely background noise at the Las Vegas Convention Center, home to this year’s NACS Show. 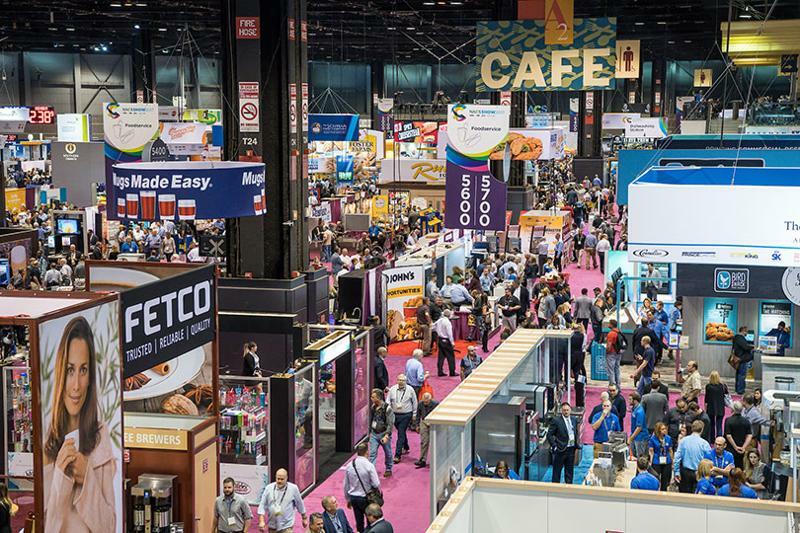 Running Oct. 7-10, this showcase of c-store innovation gives retailers a taste—quite literally—of products soon to hit shelves. And because monitoring these items can be a daunting task, the following list offers a glimpse at the ones that may become hot commodities in convenience. From updated roller grills and tech tools to burritos and chocolates, these products embody today’s evolving consumer trends as well as c-store efforts at narrowing the competition with grocery and mass retailers. Attendees can use this list not only as a way to navigate the show but also as a blueprint for future in-store strategies and promotions. 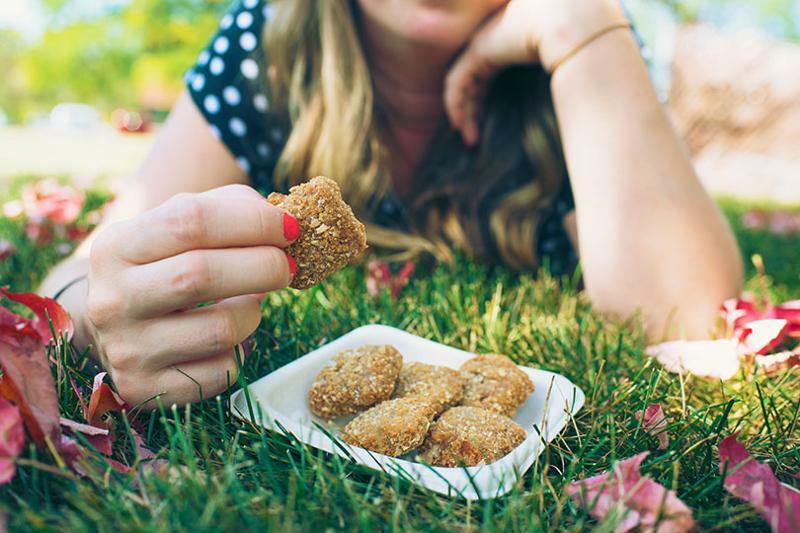 McCain Foods’ Oatmeal Bites come in two flavors: Maple Brown Sugar and Apple Cinnamon. Both are made with whole-grain oats. These treats are moist on the inside and lightly crispy on the outside, providing a unique twist on a breakfast favorite, the company says. Home Market Foods’ Fire Grilled Cheeseburger RollerBites are ideal for a quick snack or an on-the-go meal, the company says. They come in five flavors: Classic Cheeseburger, Tex-Mex Chili Cheeseburger, Triple Chile Cheeseburger, Ghost Pepper Cheeseburger and Bacon Cheeseburger. 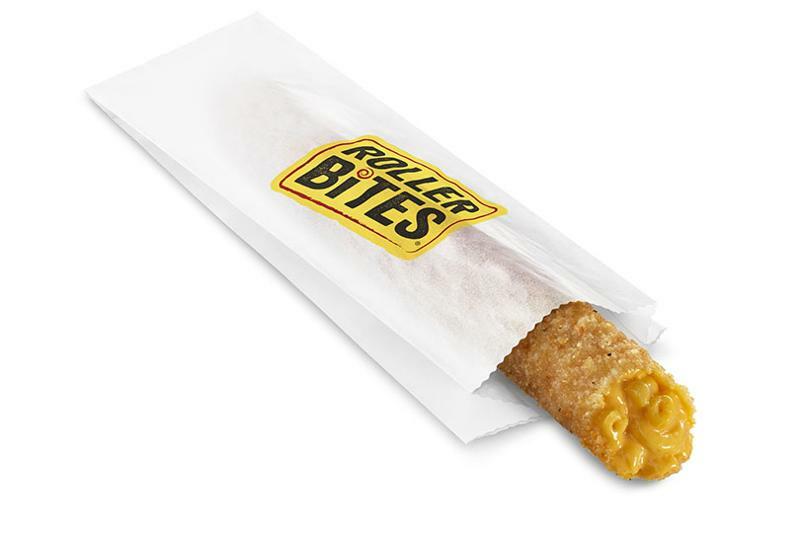 Home Market Foods also offers Mac & Cheese and Nashville Hot Chicken RollerBites. 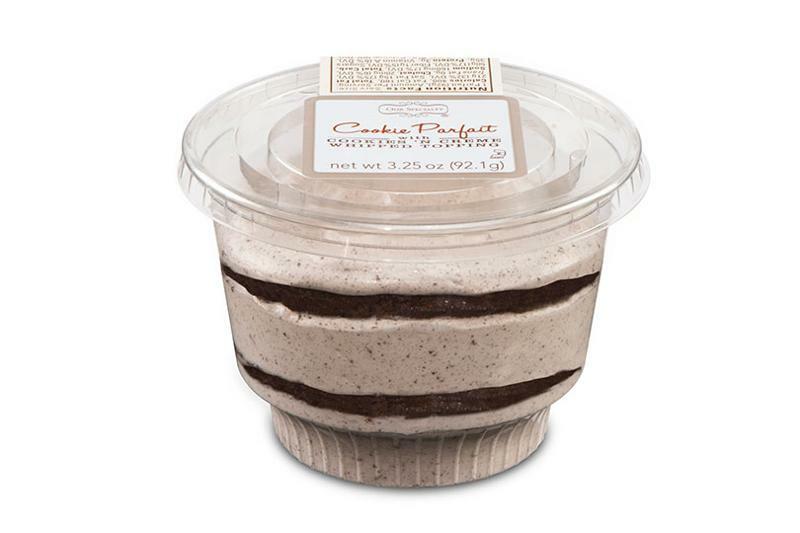 Cookie Parfaits from Rich’s Foodservice come in single-serve, grab-and-go cups. Layers of rich chocolate cookies are paired with chocolate, vanilla or cookies and cream whipped topping for three varieties. Each flavor comes in a 3.25-ounce cup for an SRP of $1.99. 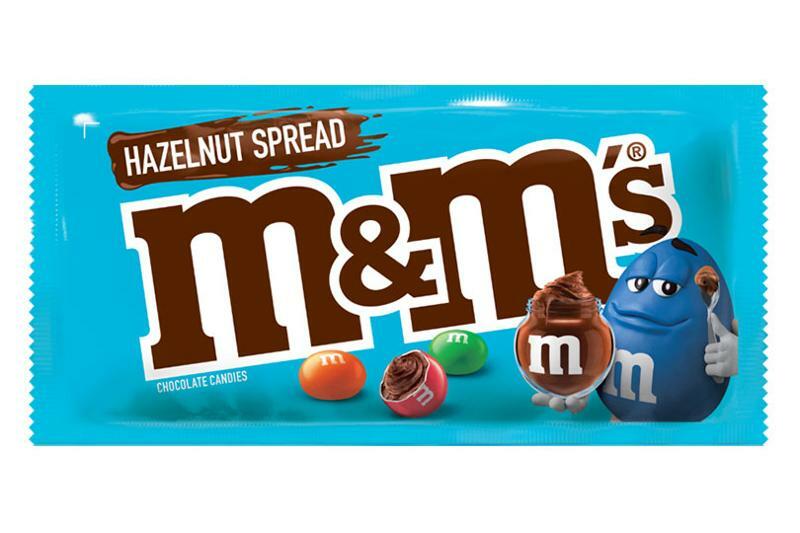 Mars Wrigley Confectionery’s M&M’s Hazelnut Spread features a chocolate hazelnut center coated in milk chocolate and topped with a colorful candy shell. This M&M’s product will launch in stores in March 2019. 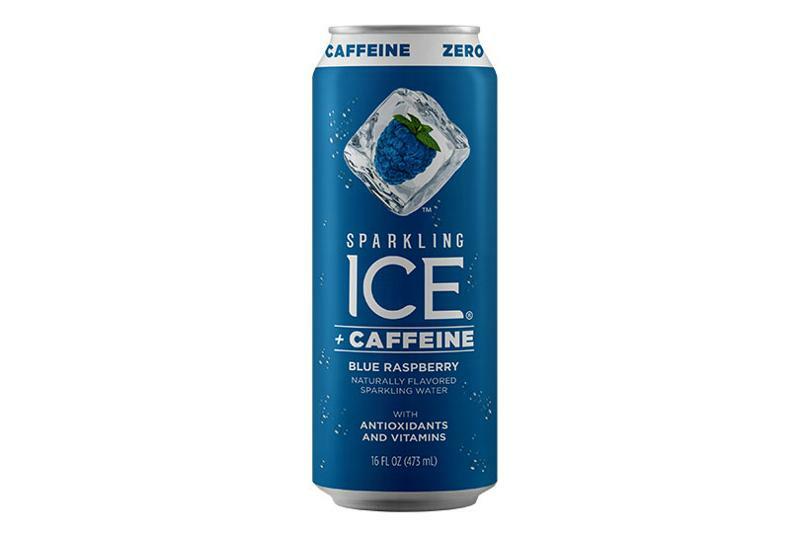 Sparkling Ice +Caffeine comes in five flavors: Black Raspberry, Blue Raspberry, Triple Citrus, Strawberry Citrus and Orange Passionfruit. The flavored sparkling water from Talking Rain Beverage Co. has 70 milligrams of caffeine per can. The beverage also has zero calories and zero grams of sugar and contains antioxidants and vitamins. Photograph courtesy of Talking Rain Beverage Co. The Tyson Red Label brand is now offering jumbo-sized bone-in wings. Varieties include Golden Crispy, Hot ‘N Spicy, Applewood Smoked and Oven Roasted Starch Coated. 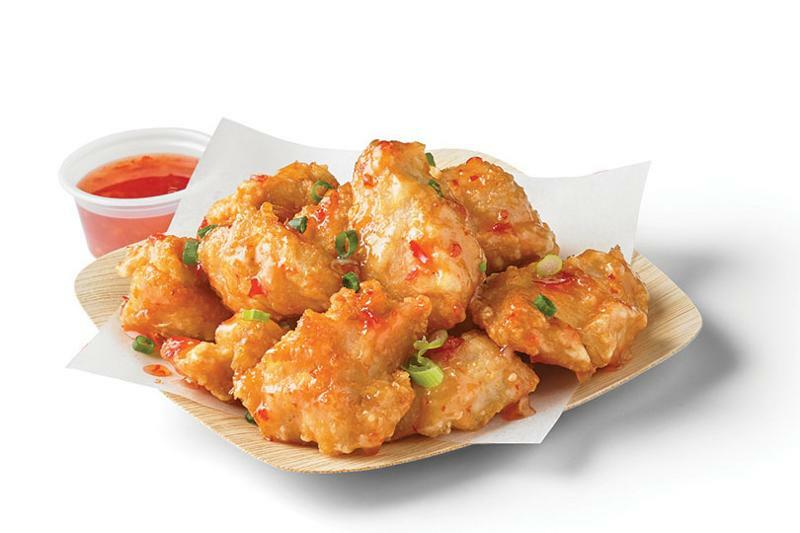 Tyson is also adding Hot ‘N Spicy, Applewood Smoked and Starch Coated flavors to its boneless line. Both lines are made from antibiotic-free chickens. 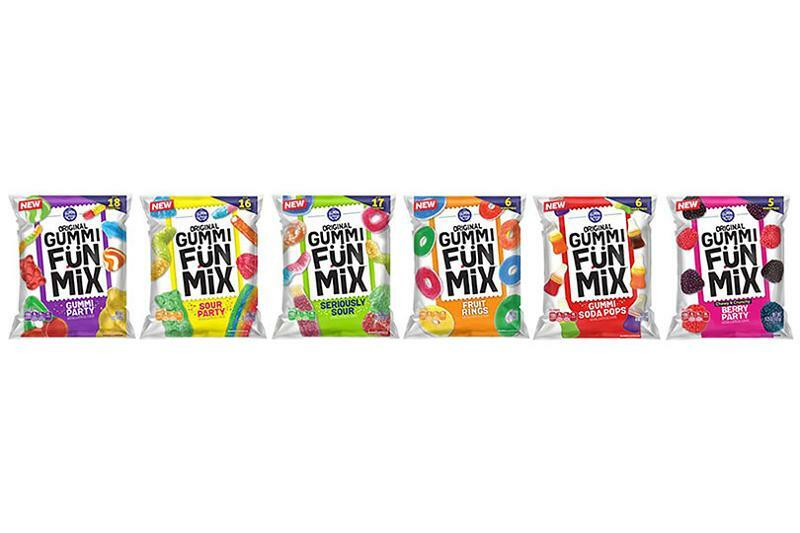 Promotion In Motion’s Original Gummi Fun Mix line features gummies in fun shapes, flavors and colors. Six varieties are available: Gummi Party, Sour Party, Gummi Soda Pops, Fruit Rings, Berry Party and Seriously Sour. They come in 5-ounce and 10-ounce packages for an SRP of $1.99 and $2.99, respectively. 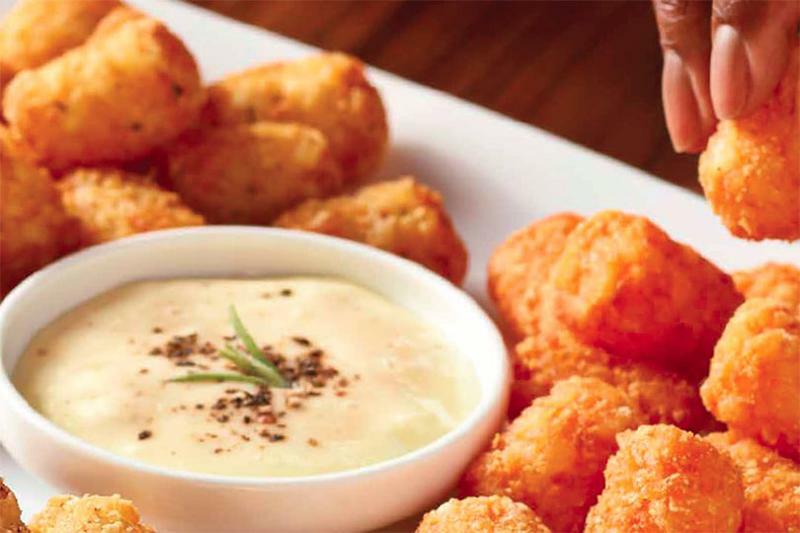 Seasoned Tots are a fresh twist on a classic potato favorite, manufacturer McCain Foods says. These fried potato bites are available in Buffalo, Ranch and Sea Salt & Black Pepper flavors. 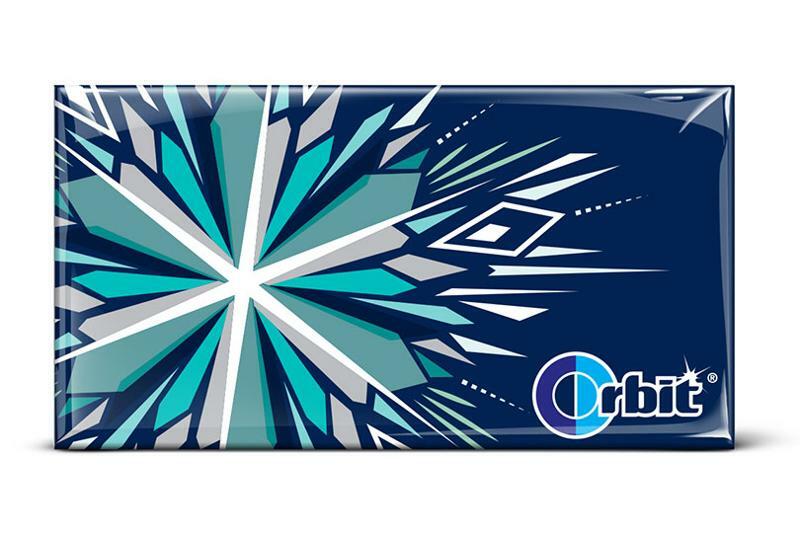 Orbit Freeze Mint gum has an intense arctic freshness and an icy-cool flavor, manufacturer Mars Wrigley Confectionery says. The gum is set to launch in convenience stores in December 2018. It comes in a single pack for an SRP range of $1.09 to $1.59 and a 3.58-ounce multipack for $2.59 to $3.39. Rich’s Foodservice is releasing two plant-based pizza crusts: Seasoned Cauliflower and Broccoli Cheddar. Both varieties weigh 5.2 ounces, and 24 crusts come in a case. 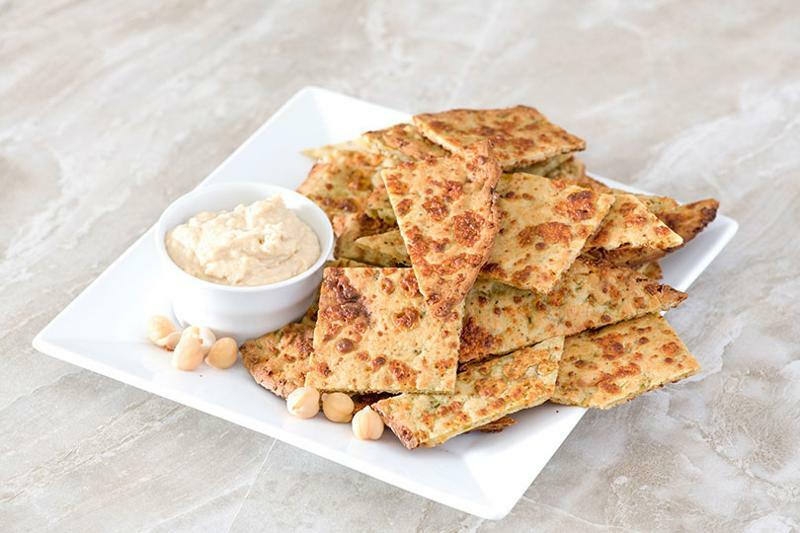 The 10-inch crusts can also be used for sandwiches, flatbreads and paninis, the company says. The Glenray Mini Warmer from Tomlinson Industries is ideal for holding soups, stews, sauces, gravies and dips. 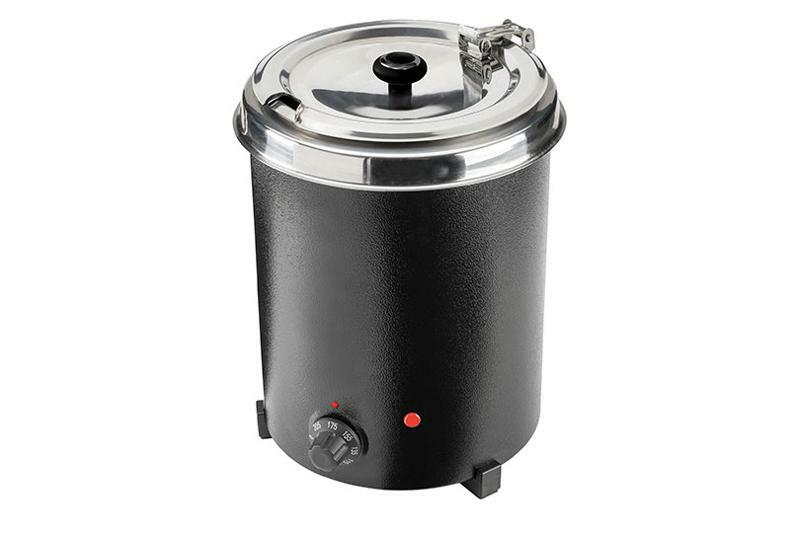 The 5.3-quart unit features a removable stainless-steel insert, a stainless-steel hinged lid and a corrosion-resistant black powder-coated steel or stainless-steel body. It also has an adjustable temperature control, and it comes with a one-year warranty. 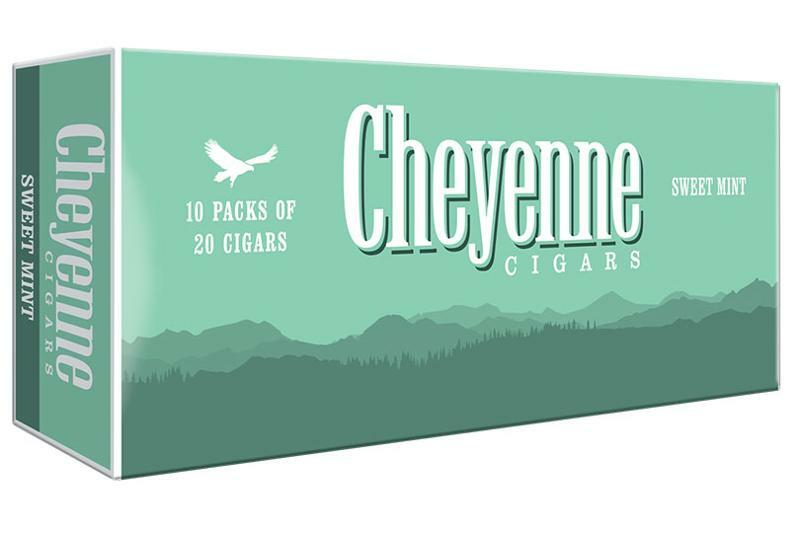 Cheyenne International’s Sweet Mint Cigar is made with a blend of high-quality cigar tobacco. It has a fresh mint and sweet taste, the company says. Sweet Mint Cigars are available in 20-cigar hard packs. 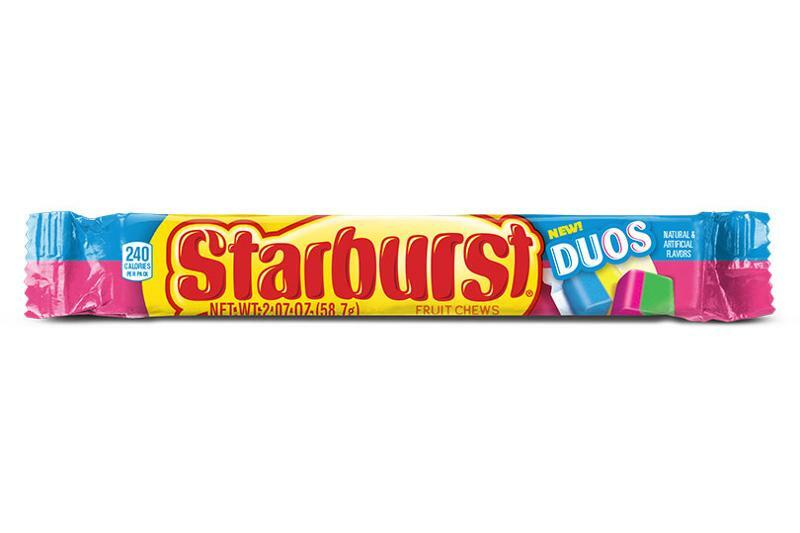 Starburst Duos, which deliver two-in-one flavor combinations, come in the traditional fruit-chew form. Flavor combinations include Strawberry Watermelon and Blue Raspberry Lemonade. All varieties from Mars Wrigley Confectionery will arrive on shelves in January 2019. 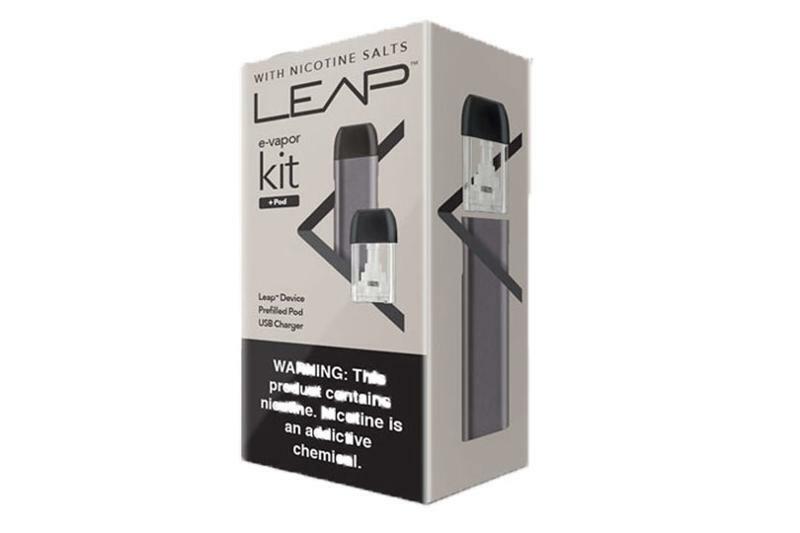 E-Alternative Solutions, a sister company to Swisher International, is introducing Leap, a nicotine salt-based vapor system. The Leap line includes rechargeable and disposable models, each offering a wide range of e-liquid flavors and three nicotine levels (including zero percent). Leap has a sophisticated design, more powerful battery and higher-capacity e-liquid pods, the company says. 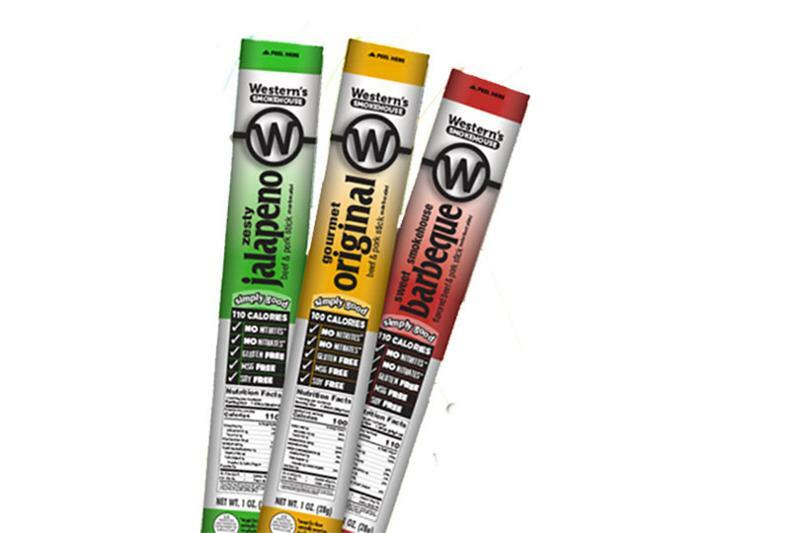 Western’s Smokehouse’s new line of Simply Good Snack Sticks targets consumer demand for healthy eating. The meat sticks are made with lean cuts of beef and pork and various spices. They are free of nitrates, gluten, MSG and soy. 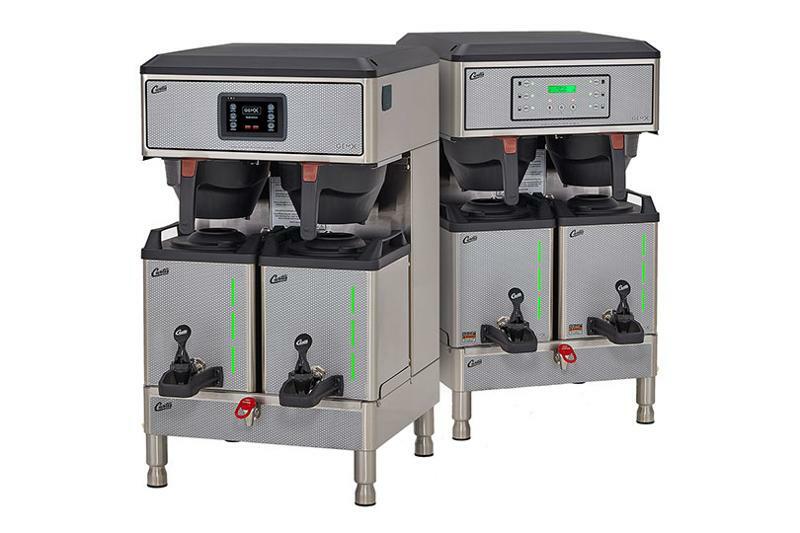 In an effort to make gourmet coffee brewing easy for all operators, the Wilbur Curtis Co. has released its GemX IntelliFresh Coffee Brewing System with FreshTrac. It replaces traditional timers with an LED light system that lets operators track when the coffee is done from across the store. The GemX system also has a sloping design for easier cleanup and a locking lid and brew cone to help prevent spills. Photograph courtesy of Wilbur Curtis Co.
Ruiz Foods has added a Meat Lovers Scramble to its line of roller-grill Tornados. It features scrambled eggs, sausage, bacon, ham and cheese wrapped in a crispy tortilla. It can be prepared via a roller grill, oven or fryer. 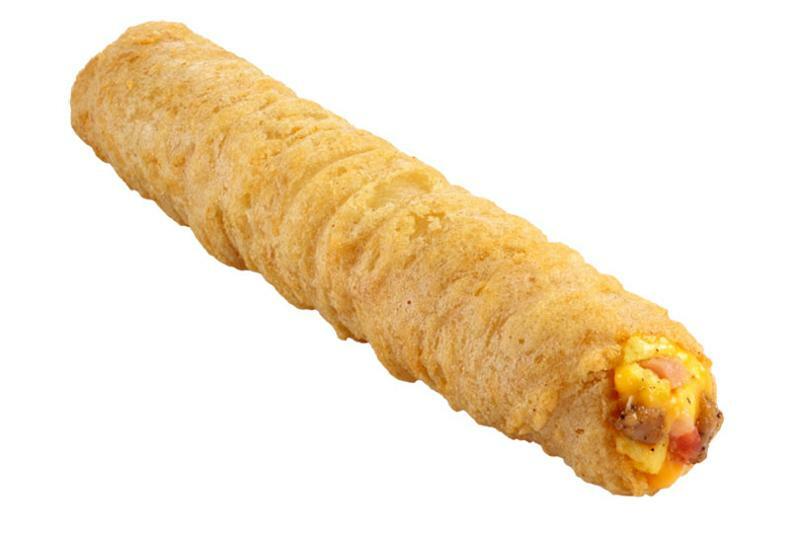 The company also offers a Chicken, Bacon & Cheddar Tornado. 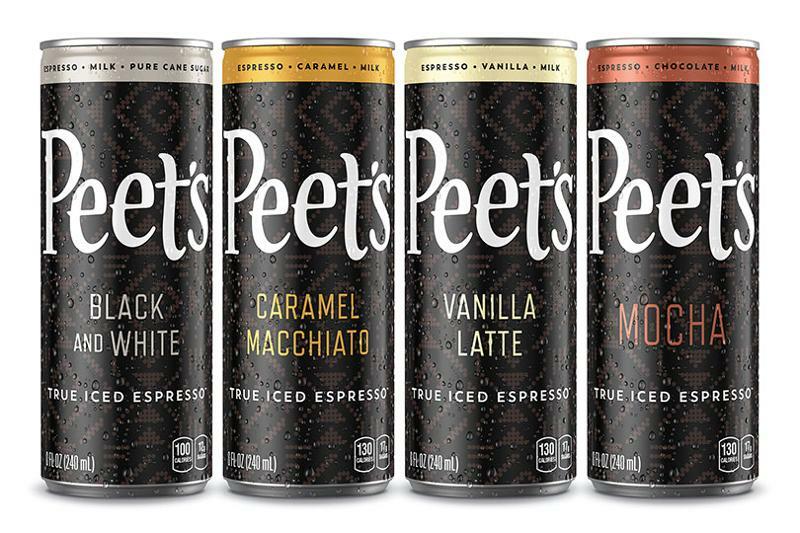 To answer better-for-you demands, Peet’s has released True Iced Espresso made with rBST-free milk, pure cane sugar and no artificial flavors or preservatives. The 8-ounce cans come in Black and White, Caramel Macchiato, Vanilla Latte and Mocha flavors, all of which contain 130 calories per can. 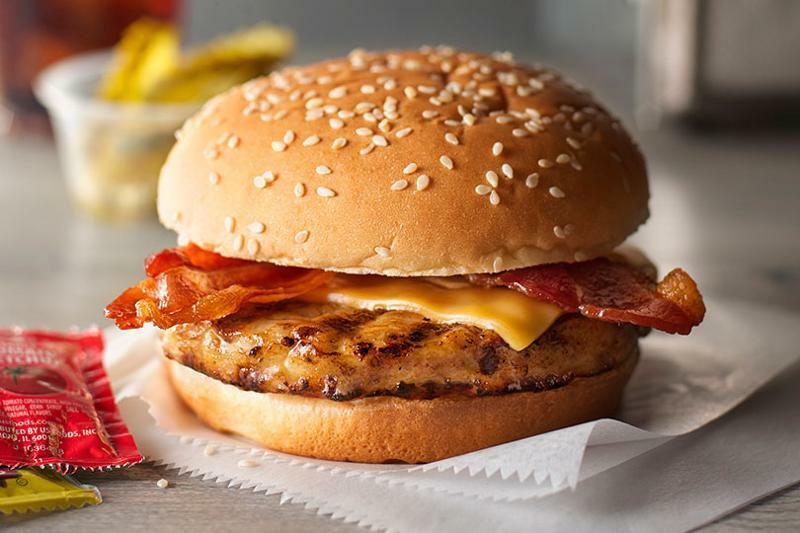 The Flame-Grilled Chicken Burger from Brakebush Brothers is an all-natural, fully cooked chicken burger that features grill marks for an enhanced appearance. Operators can use it to create craveable chicken burgers, including barbecue and Greek varieties. 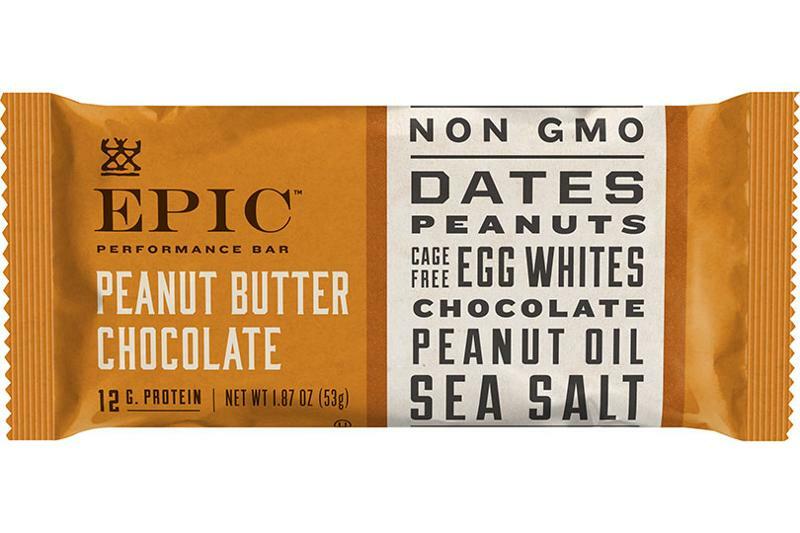 General Mills’ Epic Performance Bars come in Peanut Butter Chocolate and Peanut Butter flavors, along with Whole30 and paleo-friendly Almond Butter Chocolate and Lemon. The protein bars are also non-GMO, gluten-free, soyfree, grain-free and kosher. A 1.87-ounce bar has an SRP of $2.89. 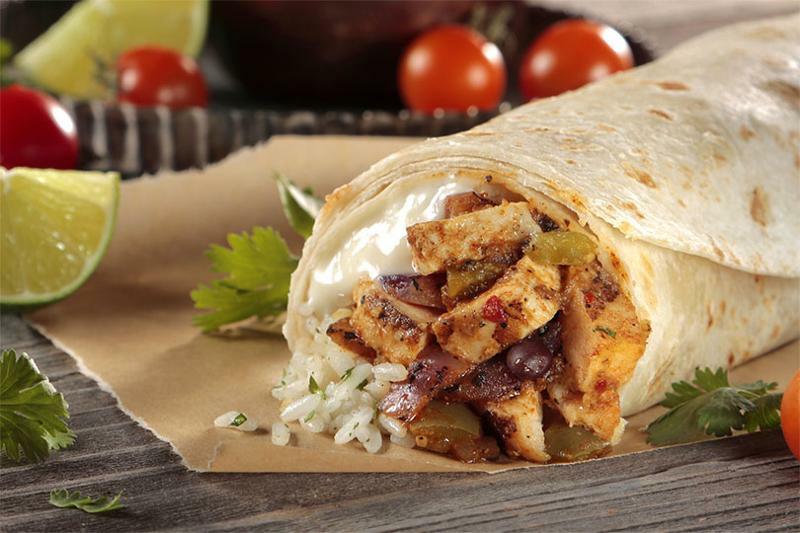 Three Bold Brothers Burritos from Ruiz Foods target consumer cravings for high-quality grab-and-go snacks, the company says. Wrapped in deli-style butcher paper, the burrito features premium ingredients such as grilled prime rib beef, grilled white meat chicken, Monterey Jack cheese, whole black beans and cilantro lime rice. 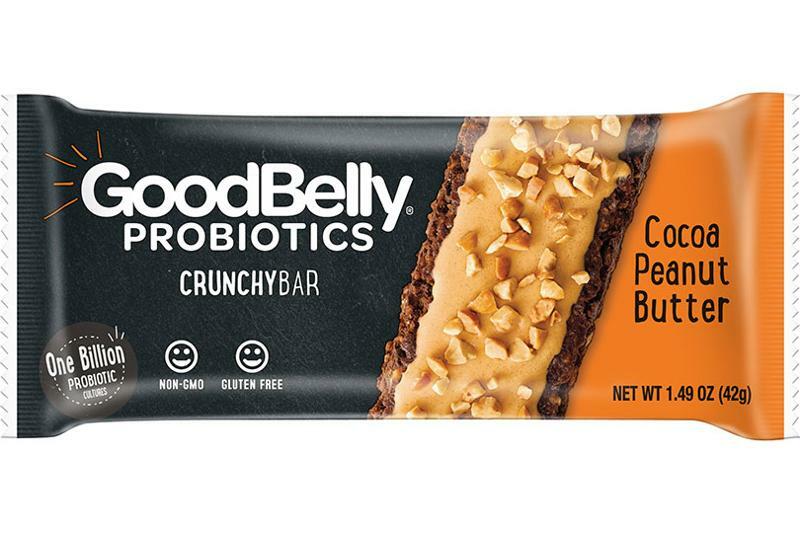 GoodBelly Probiotics Crunchy Bars from General Mills come in Cocoa Peanut Butter and Honey Almond Butter flavors. The bars are non-GMO and gluten-free and support gut health, the company says. A 1.49-ounce bar has an SRP of $3.39. 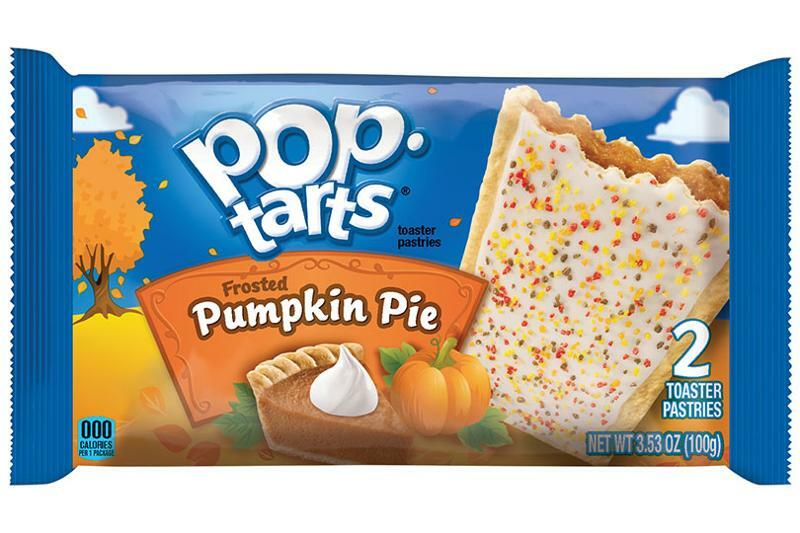 Kellogg’s Frosted Pumpkin Pie Pop-Tarts feature a pumpkin pie-flavored filling with cinnamon, nutmeg, ginger and cloves, a golden crust and white icing with fall-colored “crunchlets.” The seasonal Pop-Tarts flavor is ideal for on-the-go or p.m. occasions, the company said. 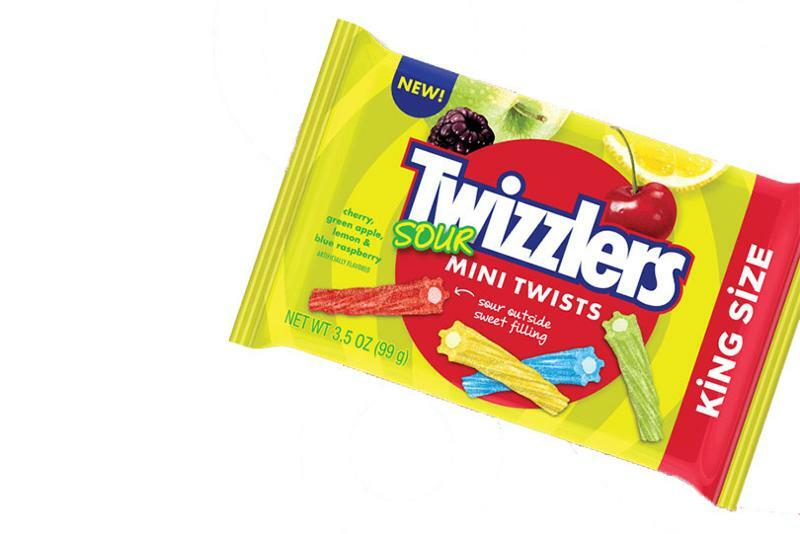 Coming soon, The Hershey Co.’s Twizzlers Sour Mini Twists are sour on the outside and chewy on the inside. Four flavors come in a pack: Cherry, Blue Raspberry, Green Apple and Lemon. They come in 8-ounce and 3.5-ounce bags for an SRP of $2.49 and $1.69, respectively. 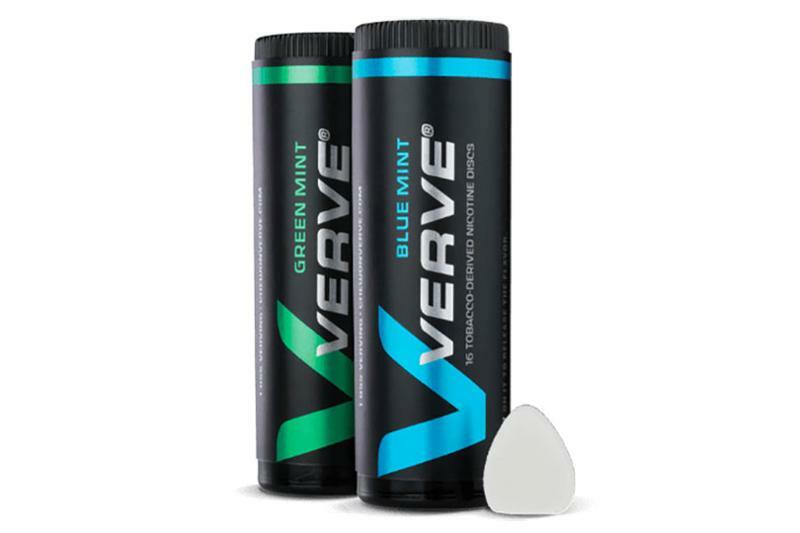 Photography courtesy of The Hershey Co.
Verve discs and chews from Altria are nicotine-containing products designed for a diverse set of adult tobacco consumers. Both discs and chews come in Green Mint and Blue Mint flavors. The discs are available online in Colorado and New York and at select retailers, while the chews are also available at select retail locations. 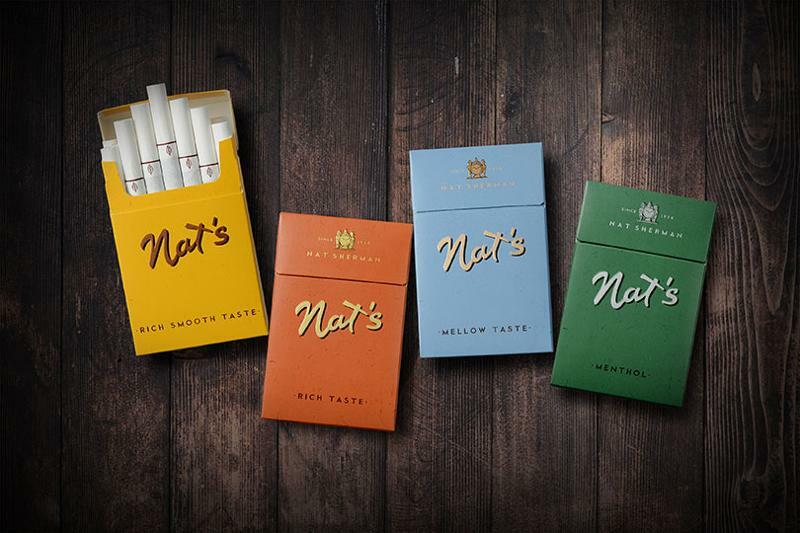 Altria’s Nat Sherman brand has introduced Nat’s, a superpremium cigarette made with just tobacco and water filler. Nat’s launched in Colorado before becoming available across the Western states. 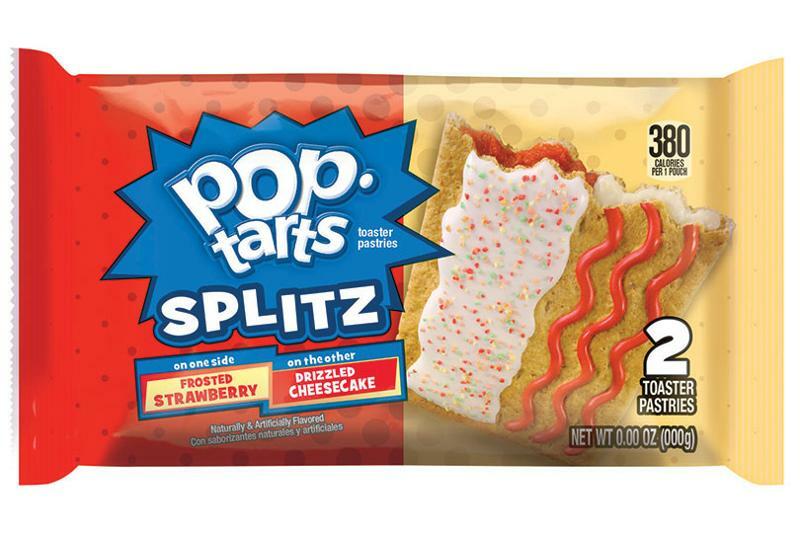 Kellogg’s Pop-Tarts Splitz combines two different flavors in one Pop-Tart, with sprinkled frosting on one half and drizzled icing on the other. Flavor pairings include Frosted Strawberry & Drizzled Cheesecake and Frosted Brownie Batter & Drizzled Sugar Cookie. 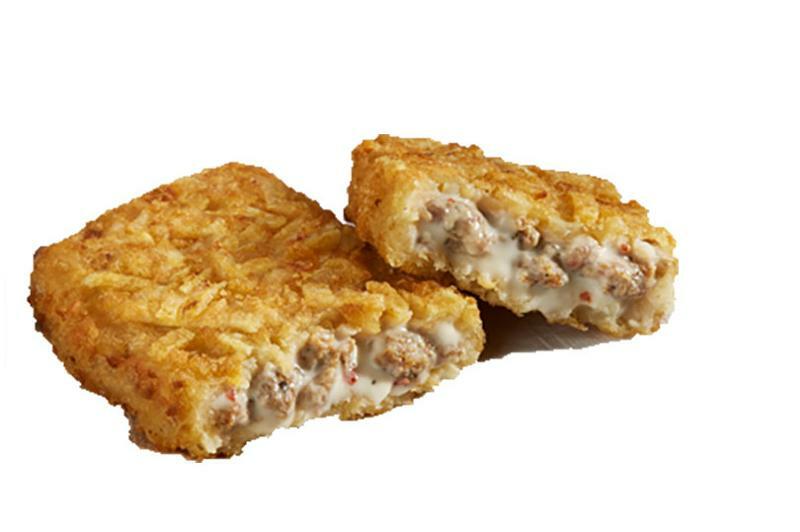 Jimmy Dean Stuffed Hash Browns are available in Ham & Cheese, Sausage & Gravy, and Egg, Cheese & Veggie varieties. Grease-resistant product sleeves with a see-through surface are included in every case. The product is ideal for breakfast or as an all-day snack, manufacturer Tyson Convenience says. 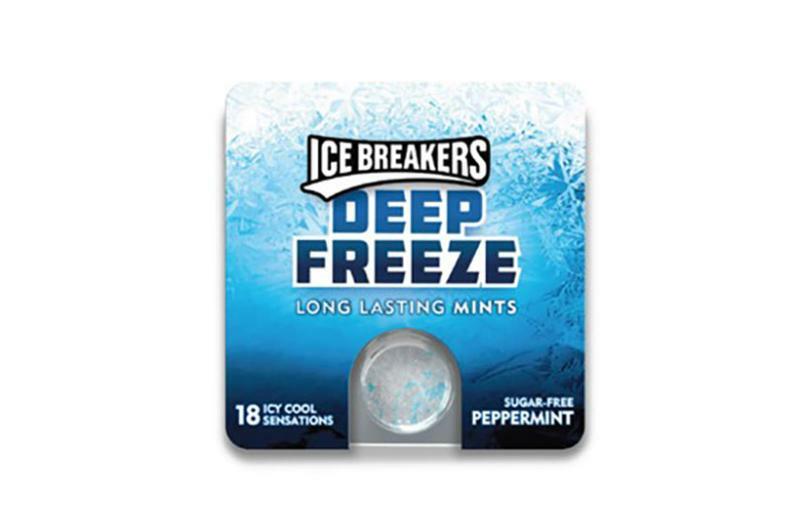 Ice Breakers Deep Freeze long-lasting mints come in Peppermint and Spearmint flavors. The mints will arrive in stores in 18-count packs for $2.19 in November. The mints provide an icy cool sensation even after the mint is gone, The Hershey Co. says. 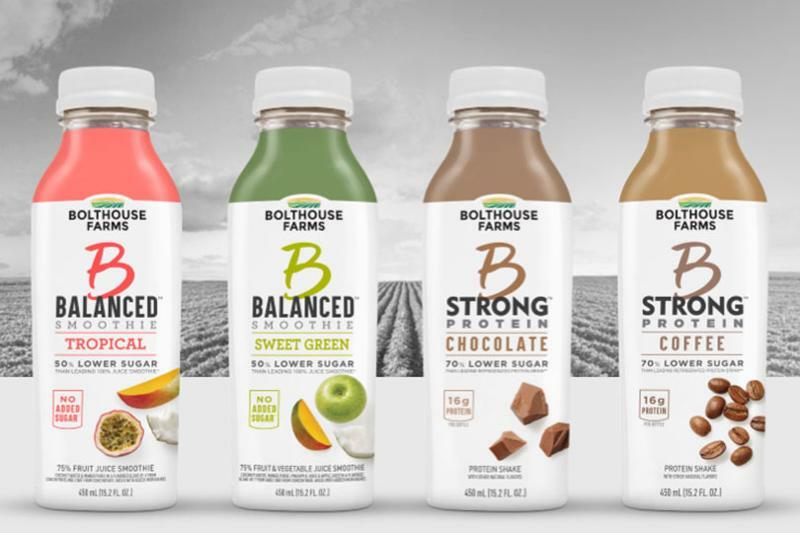 Campbell Soup Co.’s Bolthouse Farms B-Line features low-sugar protein shakes and smoothies. Its B-Balanced smoothies are made with various fruits and vegetables and come in Sweet Green, Strawberry Banana, Berry and Tropical flavors. The B-Strong protein shakes contain 16 grams of protein per serving and come in Chocolate, Vanilla, Coffee and Vanilla Chai flavors. Photography courtesy of Campbell Soup Co. 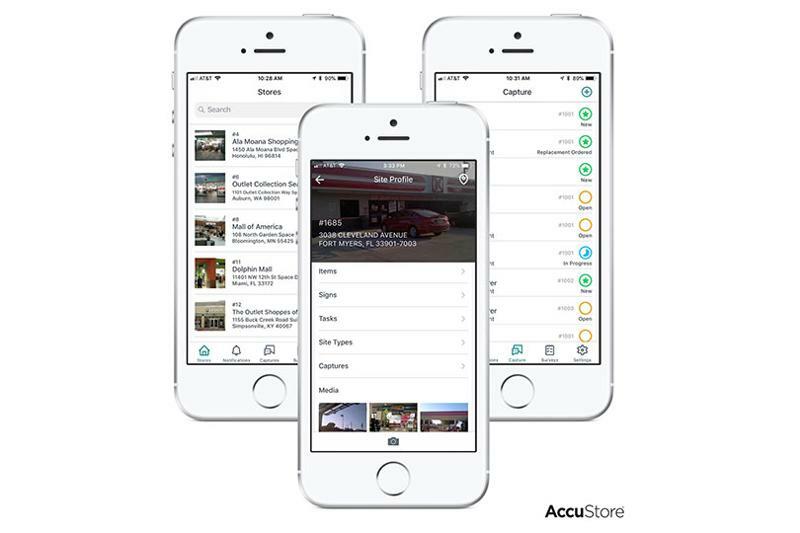 The latest version of AccuStore’s mobile app, 5.0, allows retailers to conduct self-audits, verify initiatives and gauge improvements. It also features the ability to “capture, create and reply” from the field without having to log in, allowing operators to respond quickly to tasks. 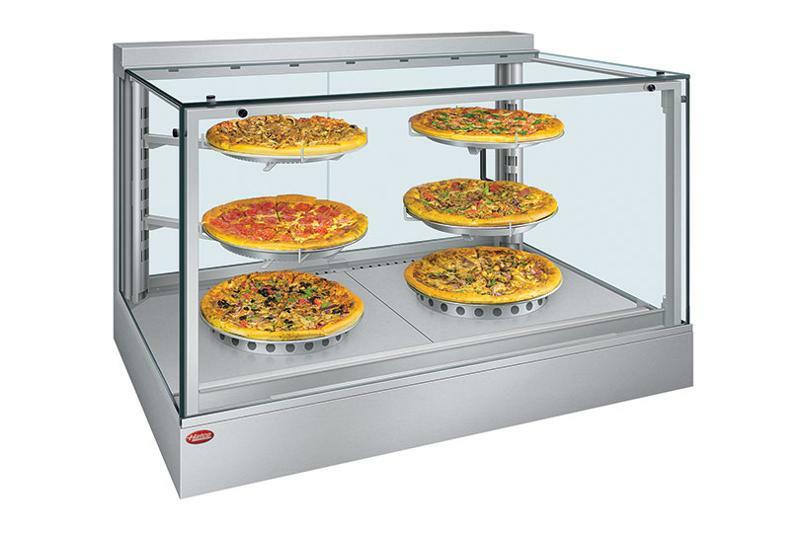 Hatco Corp.’s new Heated Display Cabinet regulates air temperature and balances humidity levels to provide an ideal environment for holding pizzas and other food products. It features 360-degree LED lighting and a touchscreen display on the back that controls the temperature, humidity and up to eight different timers. Photography courtesy of Hatco Corp. 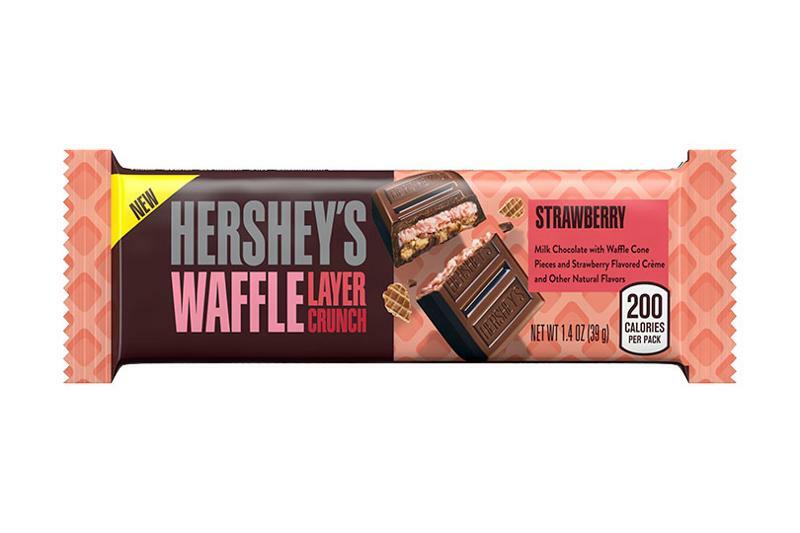 The Hershey Co.’s Waffle Layer Crunch Bars combine crispy waffle cone pieces, milk chocolate and ice cream-inspired flavors in one bar. The bars come in two flavors: Strawberry and Dulce de Leche. Both flavors come in 6.3-ounce bags for an SRP of $4.19, while the Strawberry variety is also available in 1.4-ounce standard bars and 2.8-ounce king-size bars for 99 cents and $1.69, respectively. 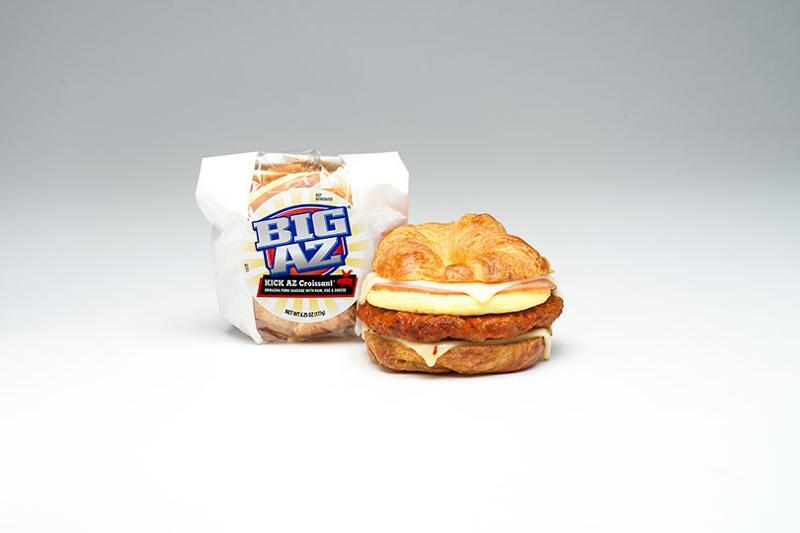 Tyson Convenience’s Big AZ Kick AZ Croissant Sandwich features Sriracha-glazed sausage, juicy ham, scrambled eggs and Swiss and pepper jack cheeses. Each hand-crafted sandwich comes in packaging that allows consumers to see what’s inside. The 6.25-ounce sandwich contains 21 grams of protein per serving. 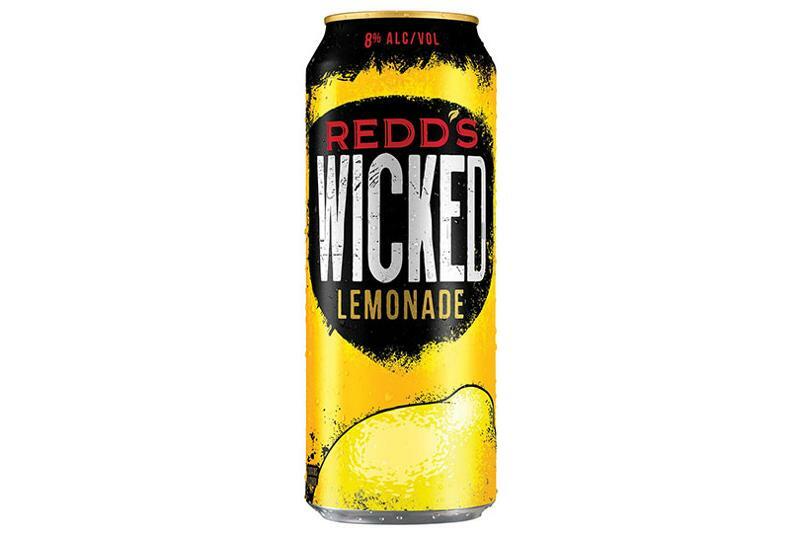 MillerCoors’ Redd’s Wicked Lemonade is an 8% ABV hard ale with bold, natural flavors. It has a distinct lemon and citrus aroma, with a balanced sweet and sour flavor and a smooth finish.